No 262. 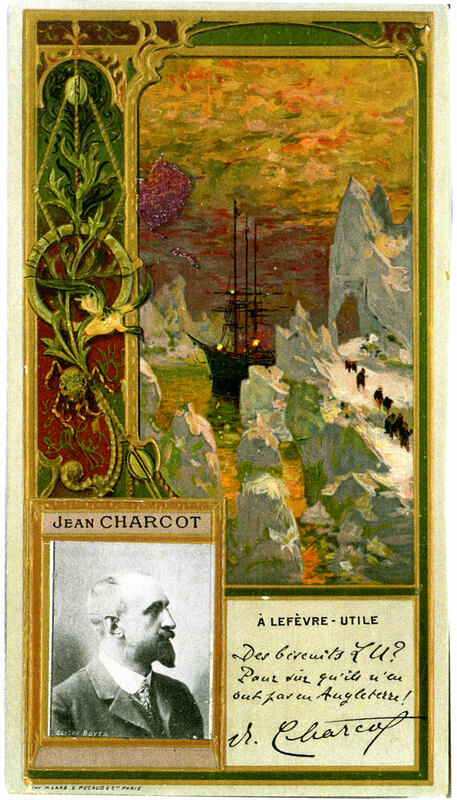 A portrait of Jean Charcot in the lower left. View of ship among icebergs in the background. Issued by biscuit maker A Lefèvre - Utile in the early 1900s. Verso unknown.